Walter Rios is an exquisite, versatile BANDONEONIST, COMPOSER, ARRANGER, and DIRECTOR. Walter Rios is an exquisite, versatile BANDONEONIST, COMPOSER, ARRANGER and DIRECTOR. Bandoneonist Walter Rios was born on the 18th of July 1942 in San Eduardo, Santa Fé. His first mentor was his father, Don Santos Ríos when he was only four years old. Already at the age of six, he began to perform on stage with his father´s orchestra. He was a bandoneonist of the Maipo Orchestra of Venado Tuerto and he continued studying with Antonio Ríos in the city of Rosario. In 1960 he arrived to Buenos Aires to start his study at the National Conservatory of Music. Founder of “Tango Trio” and co-founder of “Quinteto de Música de la Ciudad de Buenos Aires”, he has performed all around the world with “The Walter Rios Quintet” and “The Walter Ríos Sextet”, along with Ricardo Dominguez forming an unforgettable guitar and bandoneon duet. As a soloist, he played in several prestigious Symphonic Orchestras such as “El Pueblo Joven”, “María de Bs As” from Astor Piazzolla and Horacio Ferrer as well as the Symphonic Orchestra of Finland with Susana Rinaldi among others. He lived three years in France where he performed recitals and recorded with prestigious French and Argentinean musicians. In Israel he appeared for six months as an invited artist in “El ghetto Vilna”. He was invited by Professor Mariano Mores to give a series of concerts for the Queen of England at her residency in London to which the former Argentinean president Dr. Carlos Saul Menem and several other politicians also attended. The most special feature of this artist is his extensive knowledge of the diverse musical genres such as tango, jazz, classic and folklore. He has performed along very talented tango artists such as Oscar Alonso, Alberto Castillo, Hugo del Carril, Tania, Edmundo Rivero, Roberto Rufino, Roberto Goyeneche, Susana Rinaldi, Fernando Soler, Raúl Lavié, Chico Novarro, Eladia Blázquez, Adriana Varela, Horacio Molina, Mariel Dupetit, Tito Reyes, Enrique Cadícamo, José Ángel Trelles and Antonio Agri among others. He has recorded with Folklore artists such as Mercedes Sosa, Domingo Cura, Kelo Palacios, Chango Nieto, Zamba Quipildor, Peteco Carabajal, Los Nocheros and El Chango Farias Gomez. He also worked with songwriters such as León Gieco, Litto Nebbia, Facundo Cabral, Los Pericos, Thalia, Jairo, and Jorge Rojas. As for directors and arrangers, he has worked with Oscar Cardozo Ocampo, Lalo Schiffrin, Mariano Mores and Leonard Baccardi among others. He also recorded the soundtrack for several movies: “El verano del potro”, “Amigo mío”, “Tango Feroz”, “Convivencia”, “Una sombra ya pronto serás”, “El lado oscuro del corazón” and “ Plata Quemada”. He gave a Jazz Concert in Stockholm with Gustavo Bergalli , Carlos Franzetti and Big Band. He participated in the show “Tango Brujo”, starring Julio Bocca, with music of Manuel de Falla in Spain and in Argentina. He is a bandoneon professor of Tango and Folklore at the “Instituto Manuel de Falla” and he also gives private lessons to students from Asia, Europe and USA. He attended several Workshops in Universities in Israel, Spain and the USA among others. He directed “The Sexteto Mayor” with the company Tango Passion, “Forever Tango” in the USA, “The Buenos Aires Tango Company” in Japan; “El Viejo Almacen” and was also the musical director of “Tango Mio”, “The Seleccion Nacional de Tango” and Sr. Tango. He participated as a guest of honor in concerts of the following artists: Susana Rinaldi, Mercedes Sosa, Luís Miguel, Raimundo Fagner, Joaquín Sabina, Mariano Mores, María Félix, Oscar Cardozo Ocampo and Lalo Schiffrin. In november of 2007, Melopea Records published his work called “Tarde de Julio”, which he shares with the exquisite singer Mariel DuPetit. This was a magnificent artistic work mixing the classics and contemporary genres. Master Ríos launches his album “Mi Refugio” as a part of the series "The Art of the Bandoneon”, which can be summed up as a splurge of emotion and talent. Nowadays he is considered among one of the five most important bandoneonists of the world. In May he performed series of tribute concerts to Astor Piazzolla with his new Octet at the Civic Theatre in Pasadena, CA, also interpreting a selection of his own compositions. On July 11th, the Bandoneon´s day, Master Walter Ríos held a historic concert of bandoneon solos together with Juan José Mosalini, Julio Pane, Néstor Marconi and Leopoldo Federico to commemorate the birth of Anibal Troilo. On August 18th, he performed a concert at the President Alvear Theatre in Bs As, where he presented part of his latest recorded material and the newly formed Walter Ríos Octect. For his 60 years along with music, he got a distinction from the Department of Music of Buenos Aires in recognition for his career as a musician and composer. On October 26th, in a ceremony held in the Golden Hall of the Legislature of the City of Buenos Aires, the Minister of Culture declared Walter Ríos as an Outstanding Person contributing to Culture. On November 22nd, the community of his hometown San Eduardo honored him by naming the main hall of the new museum and cultural center after him. He starts the year with the show “In Dreams and Love” together with his wife, the exquisite singer Mariel Dupetit. Together they have reached a beautiful symbiosis, caressing melodies of the greatest tangos and songs of all times. On May 19th, the City Council declared him a Distinguished Visitor of the City of Venado Tuerto. On May 25th, for the Patriot Bicentennial Celebration, he presented a concert at the Teatro Ideal of Venado Tuerto. In July, he launched “El Duende de tu Son”, with famous singer María de la Fuente. There was a poignant dialogue between Walter´s bandoneon and the masterful interpretation of María, who returned recording at the age of 93, making a memorable material. On August 28th, within the framework of the World Tango Festival in Buenos Aires, he performed at the Teatro Coliseo with his Trio and Mariel Dupetit as a guest singer. On October 23rd, the Walter Ríos Company gave a show at the State of France in Paris to commemorate the bicentenary of the Republic of Argentina. On February 19th, he appeared as a guest artist in "Tango Argentino", creation of Claudio Segovia, to perform "Adios Nonino" in a mega-show held at the Obelisk. March: Walter Ríos Trio in Spain. Special Guest: Mariel Dupetit 2nd International Tango Festival - Teatro Municipal José María Rodero. Torrejón de Ardoz. 6: X International Tango Festival - Teatro Auditorio Joaquin Rodrigo. SAGUNTO. 11: 2nd International Tango Festival, Apollo Theater. ALMERIA. 17: "In dreams and love", Centro Cultural de Villanueva Mesia. 18: "In dreams and love", Teatro Pablo Neruda. DANGERS. 21: XXIII International Festival of Granada Teatro Isabel La Católica. GRANADA. On May 19th, the Honorable Senate of the Province of Buenos Aires and the National University of Tango, specially invited him to perform the music of Astor Piazzolla only with his bandoneon, at the official presentation of the book “Homage to Astor Piazzolla”, published for the 90th anniversary of his birth. July 1st: House of Culture of the National Endowment of Arts. 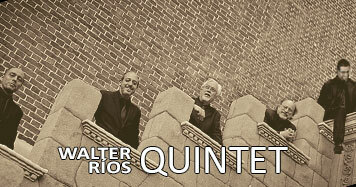 Walter Rios Trio. August 7th: The Museum Manoblanca awards him with the "Order of the Box" to commemorate his artistic career. August 22nd: Brazil. Walter Ríos, Oscar Giunta and Brazilian pianist Cristovao Bastos in concert at the AEB Festival, sponsored by the Ministry of Culture and Banco do Brasil. "Tribute to Miles Davis and Astor Piazzolla", with script by Néstor Astarita and consecrated jazz drummer and musical arrangements by Walter Ríos. January 31st: Festivity of the Virgin of Stella Maris in Santa Clara del Mar, "Romance of Bandoneon & Voice” with Mariel Dupetit. April 27th, "Tribute to Miles Davis and Astor Piazzolla" at the Teatro Colón in Mar del Plata. 12th and 13th of May, Walter Ríos in concert " The Tango and the Dance” at Cemal Resit Rey Concert Hall, Istanbul. Release of his new CD: "Walter Rios in concert, The Tango and The Dance"
May 26th: Teatro Municipal of Rio Cuarto. June 30th: tribute concert to Astor Piazzolla with Julio Pane and Nestor Marconi at the Concert Hall La Usina, Bs As. August: release of "Troilo Composer" at the Teatro Maipo. August 8th: "Romance of Bandoneon & Voice” at the Recoleta Cultural Center. August 15th: He introduced his Quintet at the World Tango Festival in Buenos Aires. Cristian Zárate in piano, Pablo Motta in bass, Leonardo Sanchez in guitar and Esteban Prentki playing violin. August 17th: World premiere of the company “Walter Rios in concert”, The Tango and The Dance in the city of Venado Tuerto. October: Tour Luis Miguel Argentina: Buenos Aires, Corrientes, Cordoba and Rosario. November 22nd: Tribute naming Ave. Corrientes and Parana St. corner after him. December 16th: CD release "The Young People", oratory of Two Worlds by Astor Piazzolla and Horacio Ferrer. Bandoneon soloist, performing Piazzolla arrangement made for himself. January, February and March: Guest artist in the show "Fort and Caviar" at Tio Curzio, Mar del Plata performing a tribute to Astor Piazzolla. April 12 -24: Yerevan, Armenia. Concerts at the Opera House with the Armenian quintet Cadence Ensemble. May 10th: Concert at the "Palacio San Martin" on the occasion of the visit of the Vice President of China. January 10: "La Usina del Arte": Summer Concerts. August 15: Buenos Aires' International Tango Festival, "La Usina del Arte". October 7/8: Venado Tuerto's County Theatre. February 24: Los Angeles USA. Alex Theatre . Walter Ríos & Cadence Ensamble Concert. July 11: CCK: "Homenaje al bandoneón"
August 13: Avenida's Theatre: Tribute to Astor Piazzolla – a Sergei Tumas production. November 11: San Martín Theatre with Litto Nebbia, introducing Astor Piazzolla's book from Marcelo Gobello. album “Amores” from singer Raúl Orlando. album “Walter Ríos celebra a Troilo”. Walter Ríos. Musical featuring “Assasination Tango" filmed in Bs As during august 2015, co-produced byUsa-Canada, with masters Néstor Marconi and Daniel Binelli, with orchestra by Cristian Zárate . April 27: Theatre: Cemal Resit Rey Concert, Estambul, Turquía. May 23: Paraninfo de Santa Fe University. March 12: CCK: Walter Ríos Octeto, interprets Astor Piazzolla's music. July 14: ESLITE PERFORMANCE HALL Taipei. TAIWAN . Special Guest WU YUNG LUNG quintet. July 17: HONG KONG JOCKEY CLUB AMPHITHEATRE. HONG KONG. Special guest: JUSTIN SIU Sextet. July 24: OPENING CONCERT SHENZEN BAO FESTIVAL INTERNATIONAL ACORDEÓN . CHINA – With "Orquesta Sinfónica Municipal", being the first time ever an argentine bandoneonist joins a local orchestra. Special Guest: TAN JIALIANG- Guest Director: LIU MING . 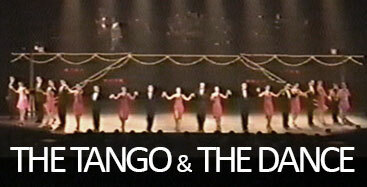 August 18: International Tango Festival. “La Usina del Arte" solo. August 21: “La Usina del Arte". AEROPUERTO PARÍS. Walter Ríos Octet. WALTER RIOS represents an innovative look at the concept of art and music as a composer and performer of an amazing instrument, the bandoneon, showing its versatility in a wide variety of musical genres.